Amenorrhoea is the absence of a menstrual period in a woman of reproductive age. Rajah Parvartani Vati, Ulat Kamba Ghan, Hirabol Kala Til, Soya, gajar Beej, Ghee Kunwar Svaras. 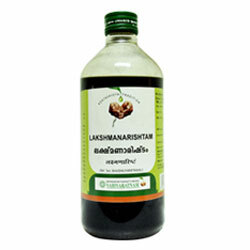 It is helpful remedy in treating amenorrhoea, stopped, scanty & retarded menses due to nervousness. It also treats dysmenoorhoea. 10 – 20 drops to be taken with water thrice daily. Manjith, Sonth, Haldi, Ajwain, Saunf, Kalaunji, Soya, Chandrasura, Ulatkambal, Satva Pudina. It is helpful in treating General debility, Amenorrhoea, Dysmenorrhoea, Menstrual Irregularities, Pre – Menstrual syndrome. It helps in regulating menstrual cycles and treats uterine pain, relieves tension and anxiety. 1 – 2 teaspoonful thrice a day for at least 2 – 3 months. Caulophyllum thalictroides, Abroma augusta, Pulsatilla nigricans, Viburnum opulus, Helonias dioica, Janosia asoka, Terminalia arjuna, Berberis vulgaris, Senecio aureus, Cinchona officinalis, Avena sativa, Podophyllum peltatum, Alfalfa, Aletris farinosa, Ferrum phosphoricum, Calcarea phosphorica, Kali phosphoricum, Kali sulphuricum, Kali muriaticum, Natrum muriaticum.